Welcome to the Curious Creatures wildlife park, established by Jeremiah Johnson: world-renowned explorer, zoologist and animal collector. Nobody knows more about animals than Jeremiah Johnson. Unfortunately, Jeremiah is currently lost somewhere in the jungles of Africa, so he has handed the running of the park over to his inexperienced nephew Craig, and things don't quite go as planned. Expect to meet curious creatures of all shapes and sizes: from performing fleas, skateboarding snails and gymnastic gerbils to irritable alligators, overexcited elephants, and a very intelligent orangutan! Learn about how animals evolved, how their amazing adaptations help them survive in the wild, and how animals can help us learn more about ourselves. After all, we're all related if you go back far enough! 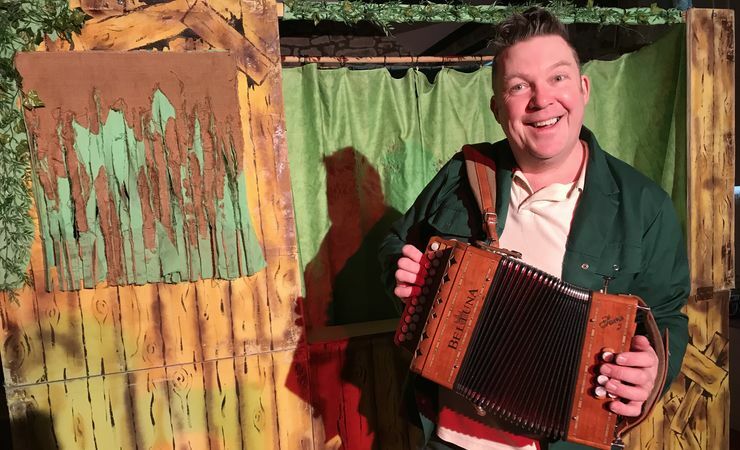 "Craig Johnson is totally at ease with his audience, adult and child alike, and combines an innate understanding and joy in storytelling with fantastic comic and musical skill."